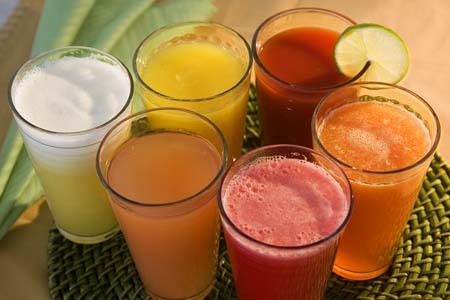 Carrot juice in combination with the juice of spinach is considered highly beneficial in the treatment of gastritis. For best results, 200 ml of spinach juice should be mixed with 300 ml of carrot juice in this combination. oo many different foods should not be mixed at the same meal. Meals should be taken at least two hours before going to bed at night. Eight to 10 glasses of water should be taken daily but water should not be taken with meals as it dilutes the digestive juices and delays digestion. And above all, haste should be avoided while eating and meals should be served in a pleasing and relaxed atmosphere.